Shamrock Cottage in days gone by. Amey was born in Yarwell, Northhamptonshire, England, in 1829 where her father was a farmer. With her brother John, she sailed to Auckland in October 1860. She married shoemaker William Smith and Amey ran a “women’s seminary” school for ladies. In 1882, William Smith died and a year later she married Captain Daldy. 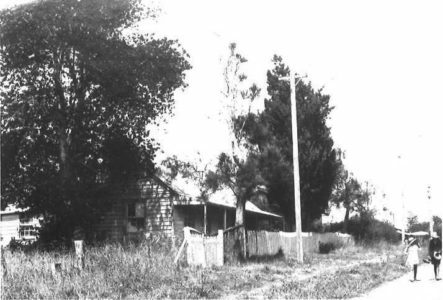 Mrs Amey Daldy lived in Shamrock Cottage in Selwyn Road, Howick, from 1894 until 1903 with her husband Captain WC Daldy. They called their holiday home Shamrock Cottage after his ship, the 85 ton schooner which he sailed from Liverpool to Auckland in 1841. Amey and William Crush Daldy were active members of the Beresford Street Congregational Church in Auckland, now called Hopetoun Alpha. In 1885, Amey joined the New Zealand Women’s Christian Temperance Union campaigning for abstinence or at least temperance in consumption of alcoholic drinks. She was prominent driving around Auckland in her horse and buggy gathering signatures for women’s rights and having spirited debates with businessmen. Her actions were supported by Captain Daldy, a prominent businessman, ship owner, Member of Parliament and first chairman of the Auckland Harbour Board and promoter of New Zealand Insurance Company. Amey founded the Women’s Franchise League and was its first president campaigning for the right for women to vote and be elected to parliament, although Amey maintained, “Women could not do much without men.” Cartoons, especially in the NZ Graphic, show her with a high collar, hair swept back and a fashionable white lace bonnet. Amey Daldy was a prominent pioneer supporting disarmament, principles of full employment and equal pay for men and women. She proposed that it be illegal for any person under 21 to enter a brothel. She wanted equal division for men and women in divorce and women to have half a husband’s wages paid directly to the wife. elieved love and sympathy should be used to reform criminals. Amey was a strong, popular chairperson and speaker and one of New Zealand’s leading suffragettes who lived in Howick. Shamrock Cottage was in a neglected state in 1968 when the Howick Historical Society started its restoration with Saturday working bees and the welcome assistance of Howick RSA. A street collection for funds was held plus donations from Sir William Stevenson and others. A history of the cottage was written. 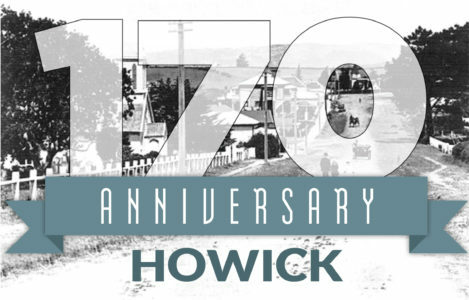 It was the second oldest building in Manukau or Howick, opened in 1847 and in 1848 reopened as the Royal Hotel with excellent meals with stabling for horses and accommodation. It is now a popular café in Selwyn Road. The two cypress trees outside today were in an 1860 painting now in the Howick Historical Village.